Hatchlands in Surrey (UK) has now opened its doors for the 2017 season. 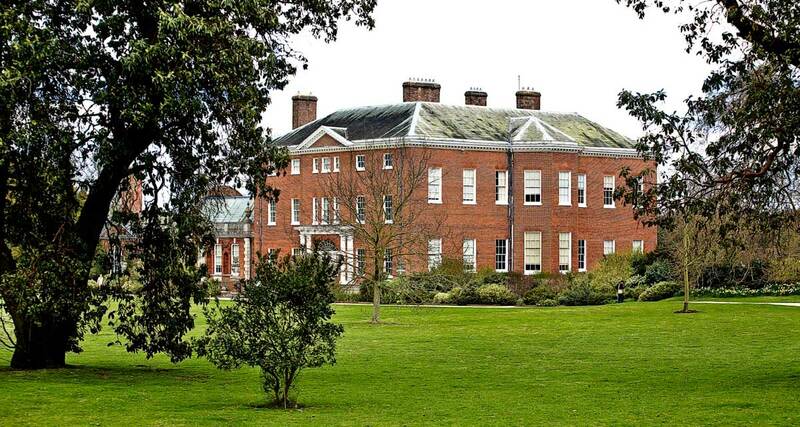 This is a beautiful Georgian mansion built in the 1750s by architect Stiff Leadbetter, and features some spectacular interiors by Robert Adam. The house is set in 400 acres of rolling parkland landscaped by Humphrey Repton, and is just 45 minutes from central London. But of real interest here is the remarkable number of historic pianos found within the house’s walls. Here you will find the world’s largest collection of keyboard instruments associated with the great composers. This is the Cobbe Collection. Bizet’s composing table piano, Roller (1855). Many other keyboard instruments of the period are on display. Viennese pianos of the exact type played by Mozart; Marie Antoinette’s square piano; a Spanish clavichord of the type played by Scarlatti; and a variety of clavichords, harpsichords, organs, virginals, and spinets. Some collections feature more elaborate instruments such as art-case pianos, but here you will see the actual keyboards used by the greatest composers of the time. And all in a truly spectacular setting. Great works of art, also part of the Cobbe Collection, are found throughout the house. This adds immeasurably to the experience. 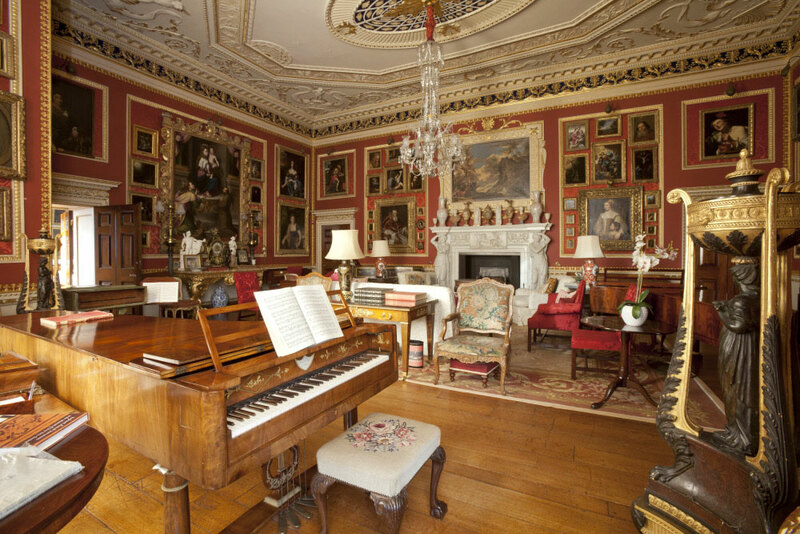 If you are interested in the history of the piano, and haven’t already been, I strongly recommend a visit Hatchlands. Throughout the summer and autumn, instruments in the collection are regularly used for concerts held in the music room. The first of this season’s is a luchtime performance on 10th May, 2017. Instruments in the collection are used in concerts during the summer and autumn. 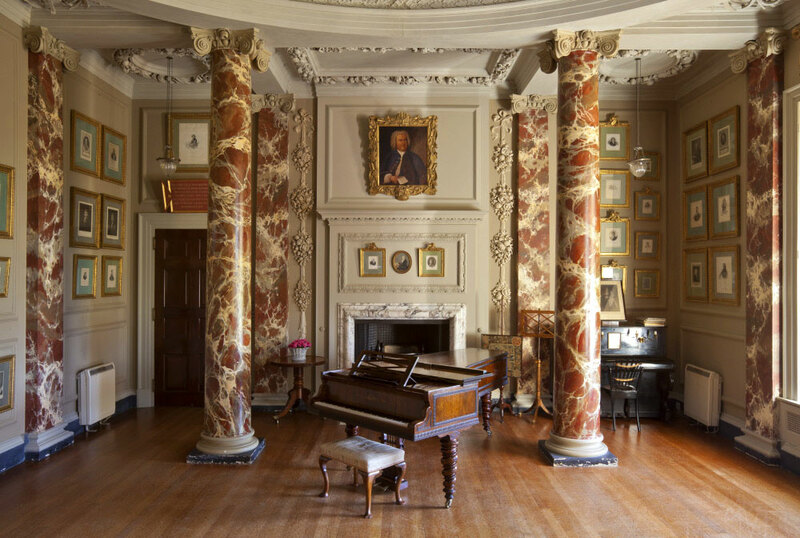 The pianos in the Cobbe collection all sound as if they could potentially sound as good as when they were new; however, they have not been restored to their full potential. They sound “rinky-tink” in a way they most certainly would not have done when new. To hear appropriately restored historical pianos, please visit the website of the Frederick Collection, Ashburnham, Massachusetts. While far more simply displayed, the Frederick Collection pianos, featured in a regular concert series now in its 33rd year, draw audiences from a wide geographic area, attracted to the beautiful and exciting sounds of these instruments, each with its distinctive voice, true to the intention of its maker. This collection, open to the public year-around, attracts excellent concert pianists from around the world.